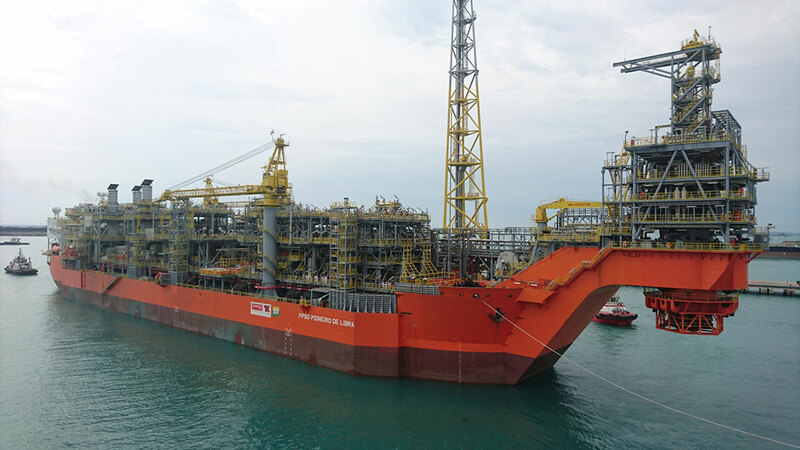 View Engineering and Automation communicates with great satisfaction and pride the departure of the Libra´s Pioneer - FPSO Platform Vessel, from the Jurong Shipyard Pte Ltd (JSPL) dock, in Singapore, to Santos Basin, in the Libra field. The ship will make a stopover in Mauritius, where some View team components will be exchanged, and then, it will leave for Brazil with arrival expected on May 20th. View is responsible for deploying the Integrated Control and Safety System (ICSS) automation project, composed of iFIX supervisory software and GE's PACSystem PLCs. The ICSS controls the entire platform, from the Fire and Gas systems to the on-board Industrial Processes.